It's spring summer time again! Wooohooooooo~!!! Ok la, a bit syok sendiri because I know no matter how much I love spring and other seasons like autumn and winter, at here, it'll always remain as summer. Just the difference will be sunny summer, rainy summer, cloudy summer and so on. So, according to my syok sendiri guide, it's only complete that if I bought something according to the season's trend right? My parcel arrived one week ago and I just have no time to blog bout it! (Ok, it's not something expensive or whatsoever, so for those who are eager to see good purchases, it'll be disappointing.) Plus, I've been buying things lately so I'll sum them up in one post and show you what I bought! 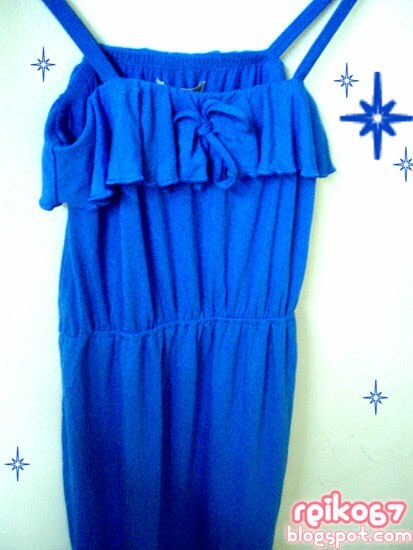 This dress is RM30 and F.O.S is now having freaking sale so after 60% discount it's RM12!!! RM12 for a dress!!! This is crazy! I'm thinking bout blue or yellow, but I choose blue because I think yellow will emphasizes our body shape. But still everytime I walk pass F.O.S and saw the yellow colour dress hanging there, I feel like buying them!!! Still haven't put this on, will do it THIS WEEK! Yay! I always think that wearing new apparel makes us feel confident. All hail shopping and shopaholics! Another 'FINALLY' kind of feeling when I got this.... 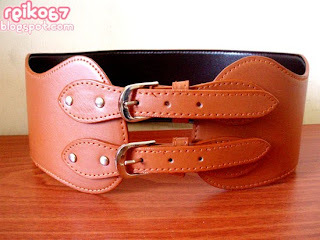 I've got no belts at all and this will be my beloved belt from this day! Haha! Its brown colour is totally 'Spring'! How I wish I can have a floral dress to match it!!! Shopping always end up with more shopping in the end. LOL! I'm so into falsies nowadays I feel like sticking them 24/7. 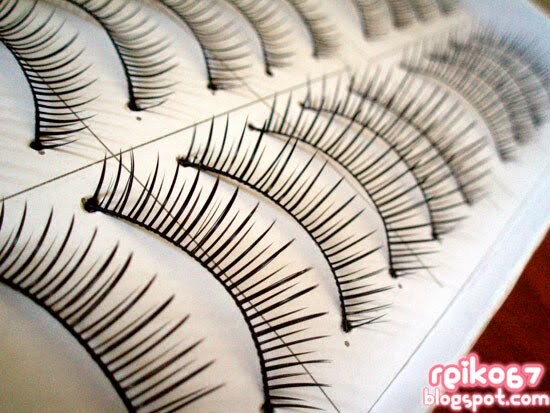 Bought myself TEN FREAKING PAIRS of this natural looking falsies in one click. Muahahahahahaha~ Nothing is much more satisfying than buying things in bulk. But I've already ruined one pair of the falsies. Sigh. Is it that I'm not gentle enough so the lashes drop off while I'm trying to pluck the falsies out from my eyelines? Or just purely that fake eyelashes are so easily drop off that you guys buy lots of stock and store them inside your wardrobe? I caused too many damages on so many pairs of falsies these days I lost count how many pairs of falsies have I dumped!!! Seriously need help on removing fake eyelashes! Drop me comment!!!! 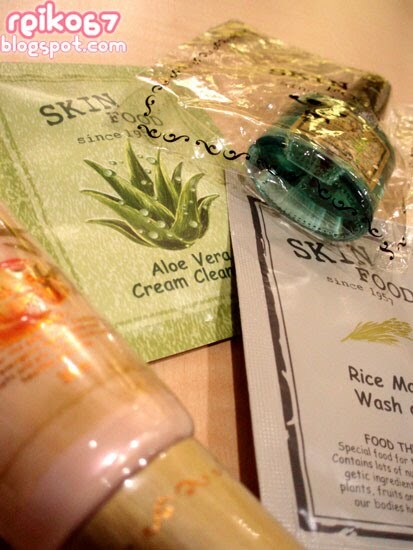 Addicted to Skin Food products these days. 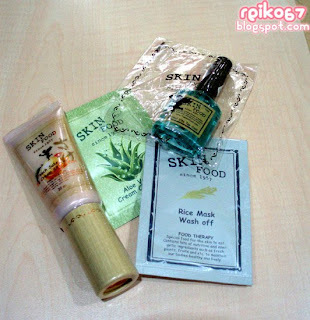 Bought their Nail Vita Top Coat (RM8.80) and Peach Sake BB Cream (RM44.90) last week! Tried the top coat, not bad. I choose the more watery type other than the thick lacquer type, easy to apply and dry up very fast. As for the BB Cream, I haven't try it out yet, will blog bout it in the future... Hehe. 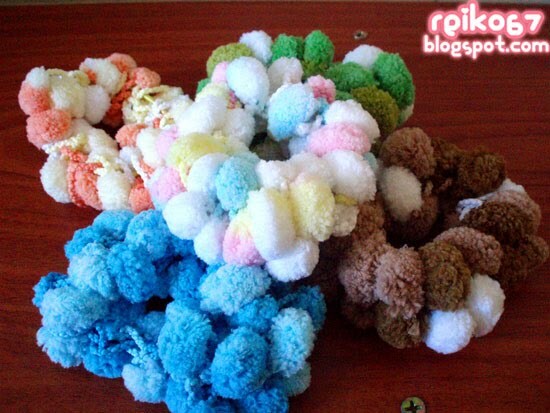 Added more colours into my Pom Pom scrunchies collection. Hehe. Now that I have SEVEN pom pom scrunchies I can wear different scrunchies each day for one week. Weeeeee~! Just got home from Ipoh. A bit tired due to lack of sleep.... And tomorrow will be the start of a busy week with interviews and works and events. Will find some time to blog again. Adios~!!! Oh... I love the lace legging and the falsies!! I never try falsies before but this one looks natural! got extra to sell me? xuan xuan seems to like to play girl stuff.. I cannot even draw a proper eye liner + dun even know much of using eye shadow. 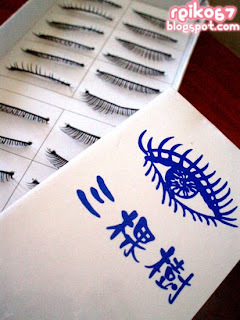 Want to get myself a Falsie Lashes also very Susah.. Please post up some make up tutorial for me. LOL. 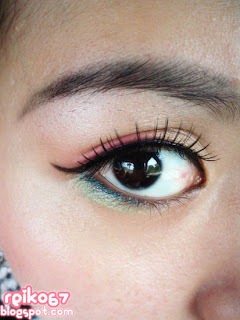 I totally love the falsies....!!! I hearts the black lace legging! I also use those falsies in 10 pairs per box... cheaper! Jean: You want of course can sell you. LOL! Baby: Because he's playing MY stuffs! JunJun Riko: Ya, I'm slowly into Skin Food now... Can't wait to finish products I have now and change to Skin Food's! Carrie: Ya, a lot more cheaper if buy at Sasa or Sinma/Chameleon!